Steve Harney, Founder and Chief Content Creator of Keeping Current Matters, recently visited Chase International to speak at our company meeting. A residential real estate expert who specializes in market trends, he shared his macro analysis on the changing real estate market for 2019. Before getting into housing market predictions for the year, Steve emphasized that it’s important to understand the mentality of a changing market. We see headlines like this, “Housing Bear Who Called 2018 Slowdown Says Worst Yet to Come” because bad news sells. The more horrific the headline, the more likely people are to click to read more, and that’s the name of the game. It’s called click bait, and it’s all over the internet. Bottom line: Don’t follow people down the trail of fear. Recognize the emotion for what it is, set it aside, and get the facts. Media often provides information without context. Yes, we’ve had more inventory hit the residential real estate market since the end of 2018 nationwide. But consider the following facts. Home appreciation in the US has historically averaged 3.6%. While some places may still be experiencing over 10%, this chart shows that prices are cooling, heading back to normal. This is healthy for the market. 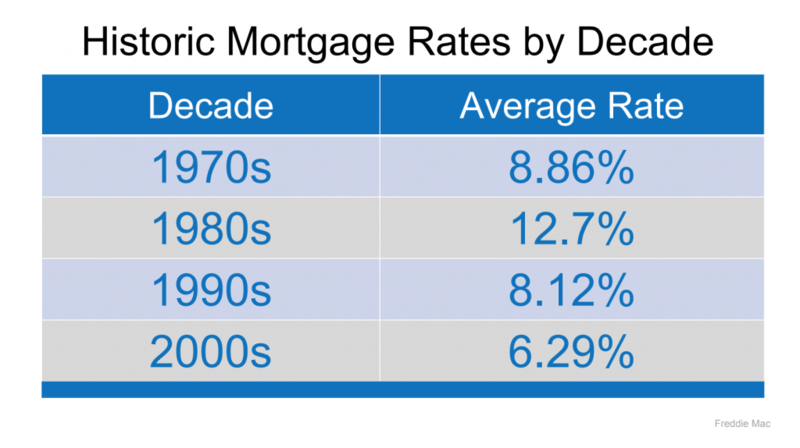 It’s also important to note historic mortgage rates. 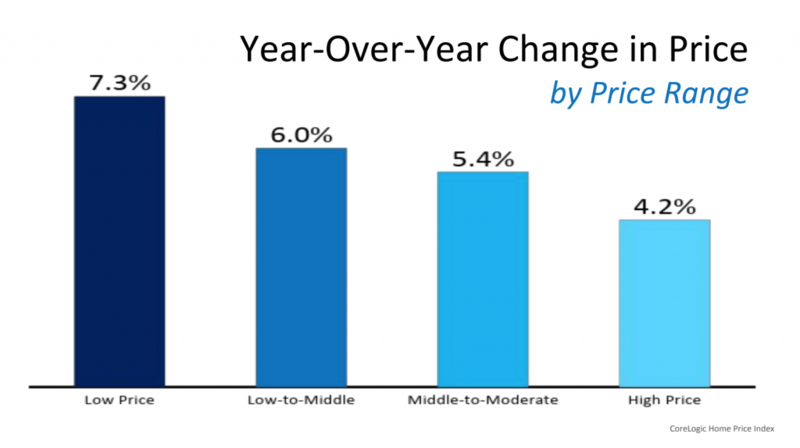 Millennials, their entire lives, have only known rates in the 3.5-4% range. But consider the average rates for the prior four decades. Higher rates are normal. Bottom line: After a heated run, the market is slowing somewhat, heading toward normal. Pent-up seller demand should put a floor on the market in the years ahead. 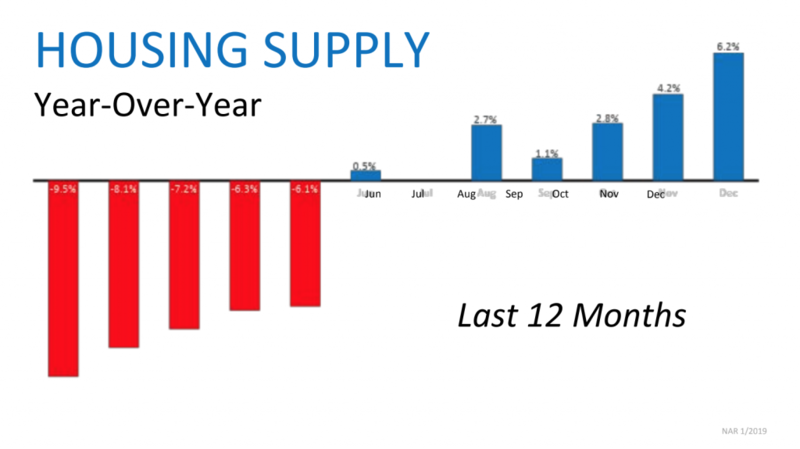 The biggest challenge in the national housing market, according to Chief Economist of First American, Mark Fleming, is the availability of supply. 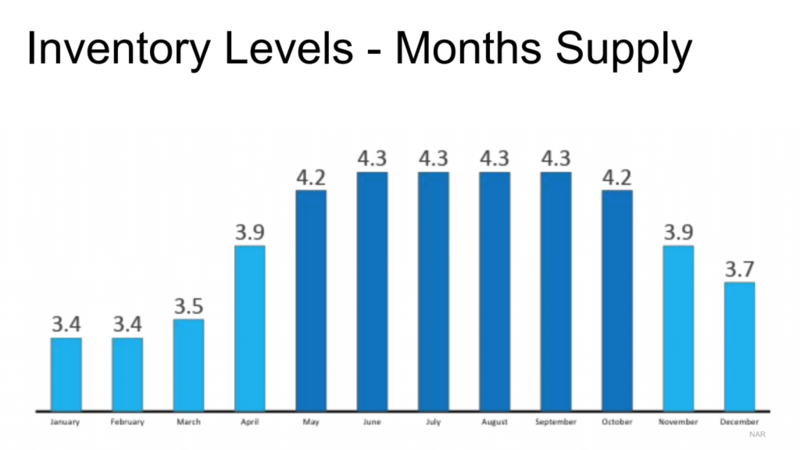 Months’ supply of US inventory, according to NAR, has been averaging 3.4-4.3 months, depending on the season. Months’ supply means that if no more new inventory came on the market, at today’s rate of sale, how long would it take for every property to sell out? In our region, anything under six months is considered favorable to sellers, while 6-12 months is balanced. Over 12 months of inventory is a buyer’s market. Expectations need to be adjusted for whatever price range you’re in. Real estate professionals typically divide markets into quartiles to understand the dynamics of each price band. Inevitably, each tells a different story. For example, on this national chart, the bottom quartile is appreciating more at 7.3%, while the top quartile is lower at 4.3%. This is due to the greater overall demand for lower-priced homes. Given the current environment, for sellers in the bottom two price quadrants, it’s okay to test the market with price, depending on circumstances. In the top two quadrants, be careful. You don’t want to overprice your property, sit on the market too long and go stale. Bottom line: Affordable inventory is the constraining factor. If more of these properties hit the market, prices will relax, opening new opportunities for buyers. What Are Economists Predicting Nationwide for 2019? 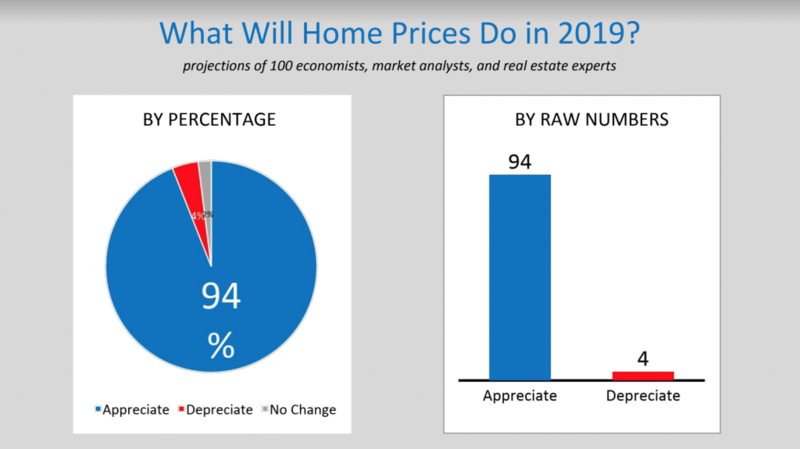 Steve notes that economists are optimistic this year, with 94 out of 100 expecting some amount of housing appreciation in 2019. Data provider CoreLogic is predicting an average 4.8% appreciation nationwide in 2019, with 8.8% predicted for Nevada and 8.6% for California. Industry participants are also optimistic. Expectation surveys from real estate and related industries are positive across the board about the next two years. Also, 65% of Americans surveyed in 2018 believed that homeownership is still a good investment. Bottom line: The general economic consensus is that prices will continue to rise, most likely at slower rates. What if There’s a Recession? Many are predicting a recession in 2019, which may or may not occur. If we did enter a recession, defined as two consecutive quarters of negative GDP growth, that doesn’t necessarily equate to a housing crash. Housing is an illiquid market compared to stocks, bonds and currencies. So a recession, should it occur, might lead to a slowdown in real estate. But you may not see the effects for several quarters, because prices are sticky and slow to respond. 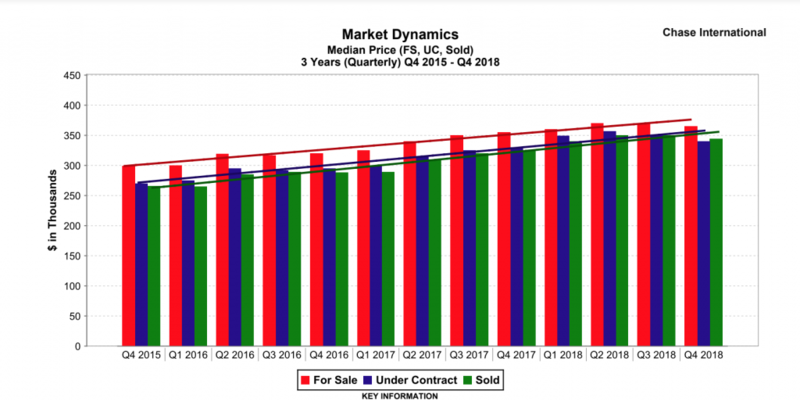 Given this backdrop, Freddie Mac expects home sales to slowly regain momentum, increasing to 6.09 million total sales in 2019 and 6.14 million in 2020. They expect 2019 home sales growth to be mostly driven by resales, while new home sales are expected to remain almost flat. Bottom line: Keep an eye on the macroeconomy, but know that the national housing outlook is positive for the next two years. Before we get to local housing market predictions, let’s examine the current local market environment. The Reno-Sparks metro has seen tremendous economic growth in recent years. Since 2010, over 70 companies have moved into the area. 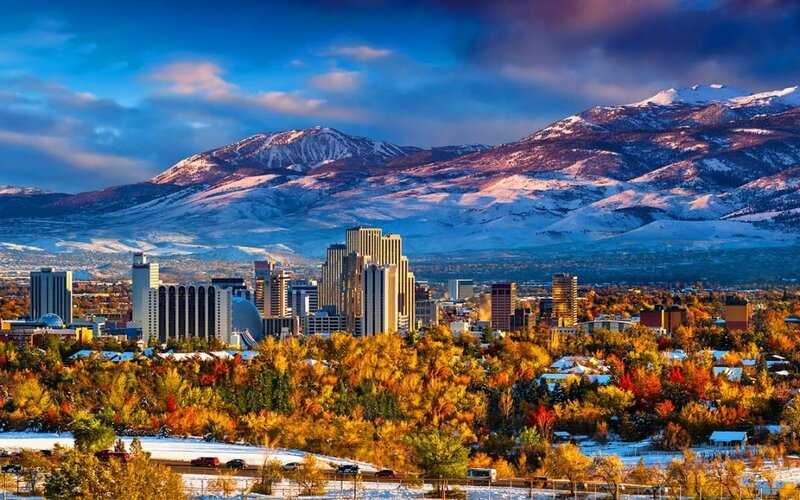 Drawn by proximity to the greater west and a favorable tax climate, many have set up shop in the Reno Tahoe Industrial Center. Carson City now benefits as well, given new roads offering direct access to this development. 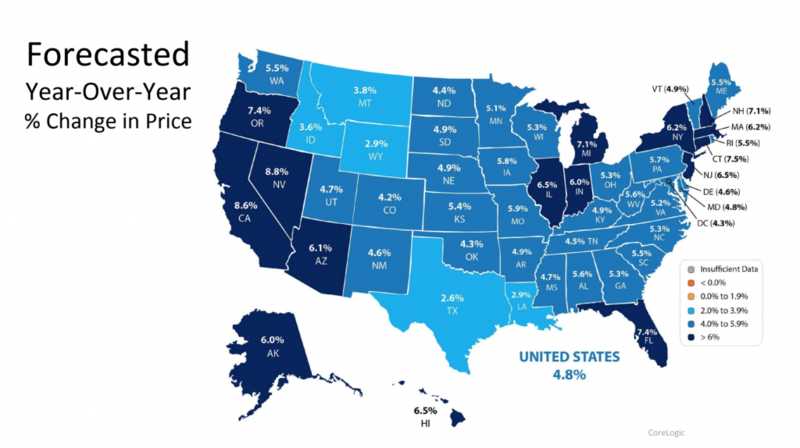 Job growth is expected to continue for at least the next five years, which creates the foundation for a solid housing market in the years ahead. Interest rates matter. The Fed has signaled that they will ease off recent rate hikes, but they will try to move up if they can to continue unwinding quantitative easing. 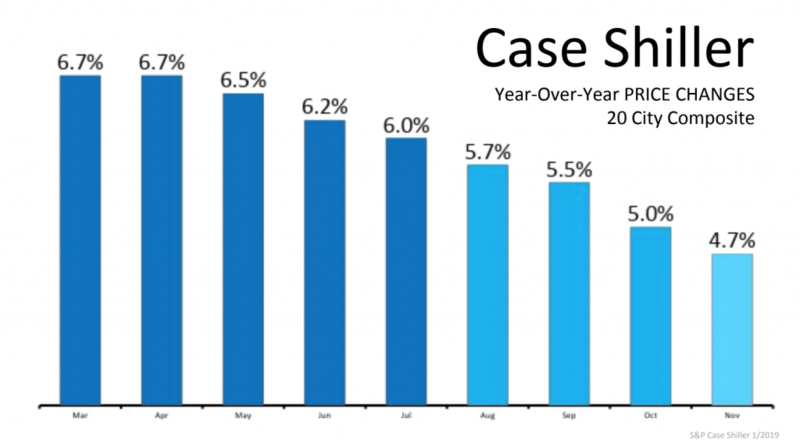 According to The Mortgage Reports, leading analysts are expecting the average rate for 30-year fixed mortgages to hit 5.17% in 2019. Mortgage underwriting standards are still high compared to 2008. The Urban Institute’s Housing Finance Policy Center quarterly index, which measures the likelihood of loans going into default, shows that we’re well within safe parameters. Consumer confidence is a wild card. If the financial markets experience volatility, people may worry. Depending on how secure they feel about their jobs and the changing real estate market, they may choose to sit on the fence or go all in on tangible property—it could go either way. The demand for affordable homes in the region is high, but less than half of what’s needed is being built according to the Nevada Builder’s Association. Rising land and labor costs, along with regulatory difficulties are limiting factors. Ongoing lack of inventory should continue to shore up pricing for entry-level homes. Across the valleys, residential units sold in 2018 were up 13%, and the average prices were up 14%, still a robust market. More inventory with slightly softening prices is normal. We anticipate that additional inventory will hit the market this spring, but will it be enough to satisfy demand? 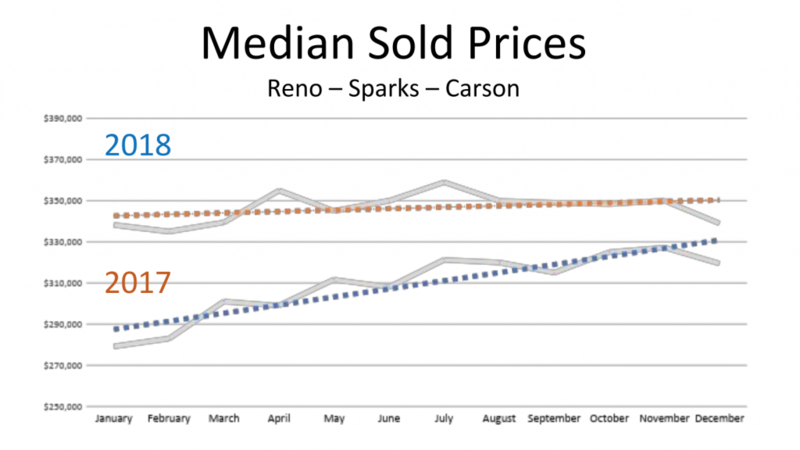 This is a snapshot of the Reno-Sparks market for the last three years. Despite seasonal swings, the overall trend lines are still heading up. In 2018, prices didn’t rise as much as they did in 2017, so the trend line is slowing. Don’t worry about the seasonal ups and downs. Pay attention to the trend line. Bottom line: It’s not about prices dropping—it’s about appreciation slowing. 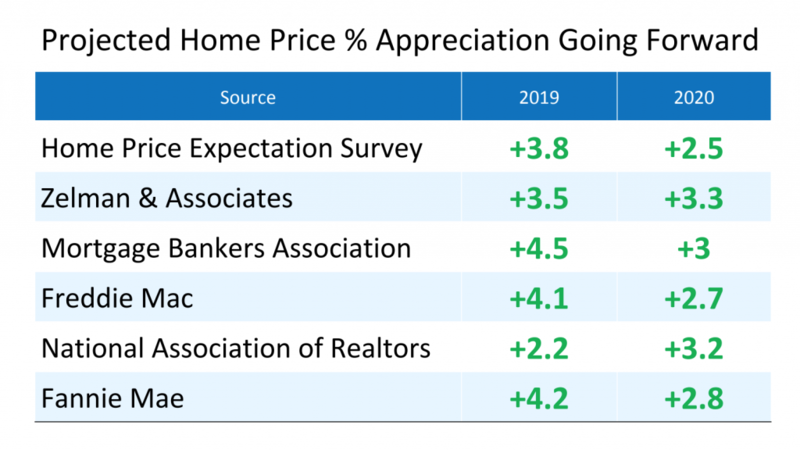 We expect to end 2019 with a modest median price increase, though not as much as we saw in 2018. Unit sales should remain steady. Tahoe-Truckee is primarily a vacation-resort market, driven by economic factors in the Greater Bay Area. So let’s look at regional trends there. After 10 years of positive economic growth, the region has seen signs of slowing. Skilled labor shortages have constrained tech hiring, Nasdaq volatility has hindered venture capital investment, and home price increases have slowed in recent months after years of record gains. Unemployment is expected to rise slightly to 4.5% through 2020, still considered full employment. Growth is expected to continue, albeit at a slower pace. Even as price appreciation slows, many Bay Area homeowners are sitting on record amounts of home equity. 73.9% of homes with loans in San Jose and 59.8% in San Francisco have more than 50% equity, according to ATTOM Data Solutions. With the median Bay Area home price at $855,000, homeowners with over 50% equity could easily peel off a chunk to buy a condo in Tahoe. 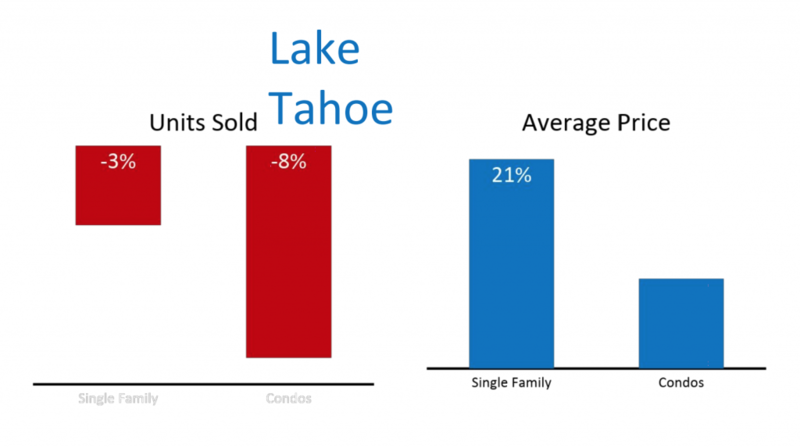 In the Tahoe-Truckee region, residential units sold went down for 2018, as average price increased 21%, the classic sign of a changing market. Tahoe Basin inventory is at record lows, some of which is seasonal with the heavy winter we have been experiencing. Early signs indicate that spring will see more new listings coming to market. Tahoe continues to be somewhat affordable compared to our feeder market in the greater Bay Area. 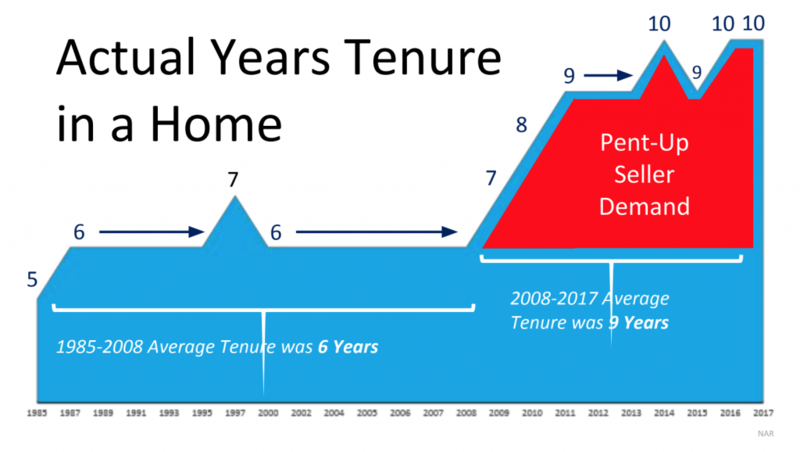 Generally, what happens in the San Francisco Bay area real estate market trickles out to Tahoe 12-18 months later. Given the slowdown in price appreciation we’re seeing there, we expect a similar dynamic to play out in Tahoe-Truckee this year. Bottom line: Prices will likely appreciate this year, but at a slower pace than in 2018. Unit sales may also decline somewhat due to an ongoing lack of inventory. Many thanks to Steve Harney at Keeping Current Matters for sharing his analysis and charts. What’s your home worth? Get three automated, no-hassle valuations right now.